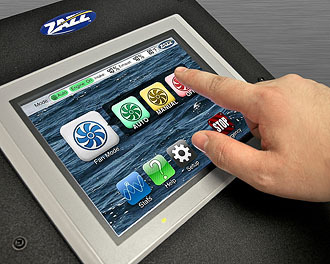 ATC is a configurable ventilation control system, designed to work in total harmony with your application. In its ‘Auto’ mode, ATC uses data from the temperature and pressure sensors to automatically regulates intake and exhaust airflow to maintain optimal temperature and/or pressure. 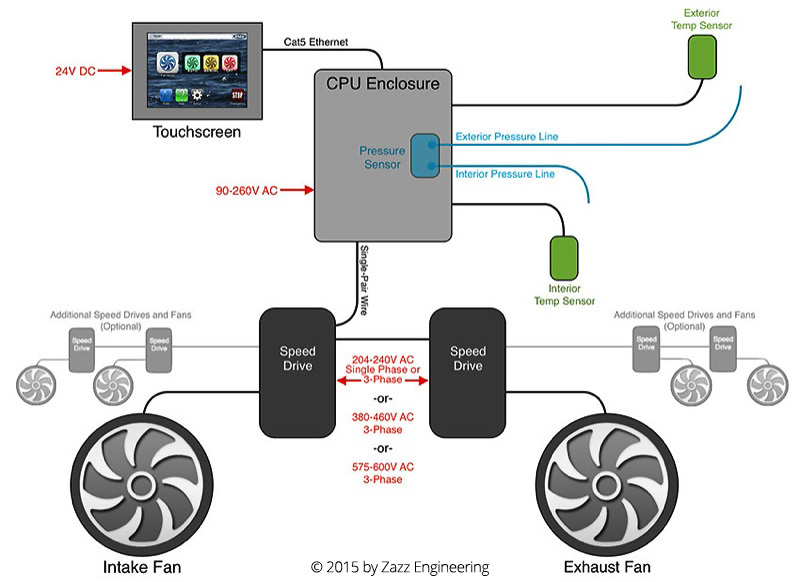 When ATC is in ‘Manual’ mode, you can change fan speed and direction with just a touch. To see a how a typical ATC system fits together, see the diagram below (click to enlarge). All the wiring in ATC uses RS-485 over Modbus, a digital standard based on Ethernet. This makes installation and cabling much simpler than older analog systems.